Enter a password and a security question and type in the answer. Click on the “I accept. Create my account” button. Then click on the “Show me my account” button. Now you can write a review of our practice on Google. Click the Google icon at the top of each of our pages or go to this link. On our Google page you can rate us with “stars” or scroll down and choose “Rate and Review” to provide a more detailed review. To review us in Yelp! 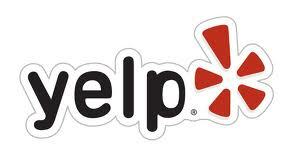 visit our Yelp listing here. Once you find our profile, select the red and white “Write a Review” button. Next choose the number of “stars” you would like to assign to your experience and then enter your review text. Select “Sign up and Post” to continue. Thank you for taking the time to review our practice. We hope you enjoyed your visit and we look forward to seeing you again soon.